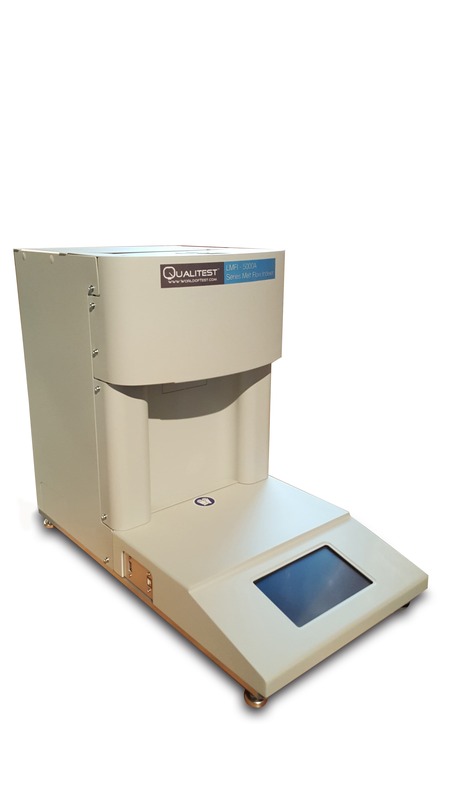 Quali-Fi 6000 Melt Flow Indexer Series can be used for testing MFR and MVR of polycarbonate, fluoroplastics, as well as polyethylene, polypropylene, ABS, POM, etc and is related to the melted material viscosity. It enables the operator to estimate the mean molecular weight and at the same time gives an indication of melt flow ability through the die. Both Melt flow rate and Melt volume rate can be determined with Quali Fi 6000 Series through a calibrated die under the effect of a pre-determined force, at constant temperature and for the total time of 10 minutes. The instrument is equipped with special features like movable oven for easy cleaning and inspection; Automatic application of selected load; Piston displacement monitored by encoder; Software for result acquisition, storing and exporting whenever necessary. The instrument with built in weights has the provision to select the weight automatically by a simple touch of the operator on the screen. In case of multi weight testing the choice can be for incremental or decremental testing. No manual weight handling is required. The instrument is with a wide color touch screen for a simple and fast input of the test parameter, visualization of test execution and final results. The results can be connected to a PC through a RS232 port for direct acquisition of the test parameters and test results which can be saved or exported with the help of the software. The LMFI-5000 series melt flow indexers are designed to meet or exceed the ASTM D1238 specifications as well as international standards. They provide an accurate, cost- effective means of monitoring material flow characteristics consistency. Weight Management System: LMFI-5000 has all weights stored in the unit itself, and changing the weight load is as simple as moving a pin from one slot to the next. Advanced Touch-Screen Display: The larger, backlit touch-screen allows for easier programming and viewing of testing status and results. Digital Encoder: A Digital encoder provides an accurate measurement of piston displacement during Method B tests. By detecting the speed of encoder movement, the LMFI-5000 can automatically determine flag length. USB Connectivity: With 3 USB ports (1 master, 2 slaves) users can connect to the devices for networking, printing, weigh scale measurements and data storage capability. Lava Software: The LMFI-5000 delivers a wider range of data in digital form that includes melt index values, shear stress, shear rate, viscosity apparent melt density, as well as testing conditions. Optional software makes it possible to record these values and present them in various reports. Easy Force Packing: Force packer delivers a constant force regardless of the size or strength of the operator, to avoid inconsistent packing of resin samples, which can cause data inconsistency. Weight Lift System: The pneumatic lift is capable of raising and lowering up to 31.6 kg weights. It requires 70 psi, clean and dry compressed air. Lift offers a mid-stop and hold feature for high viscous materials. By storing all of the weights in a stack above the LMI, selecting the weight load is as simple as moving the selector pin from one slot to the next eliminating the need for lifting weights manually. The lift system also offers a mid-position stop and hold feature for highly viscous materials. Qualitest STRONGLY RECOMMENDS the addition and use of the pneumatic lift option for weights over 9.9 kg. 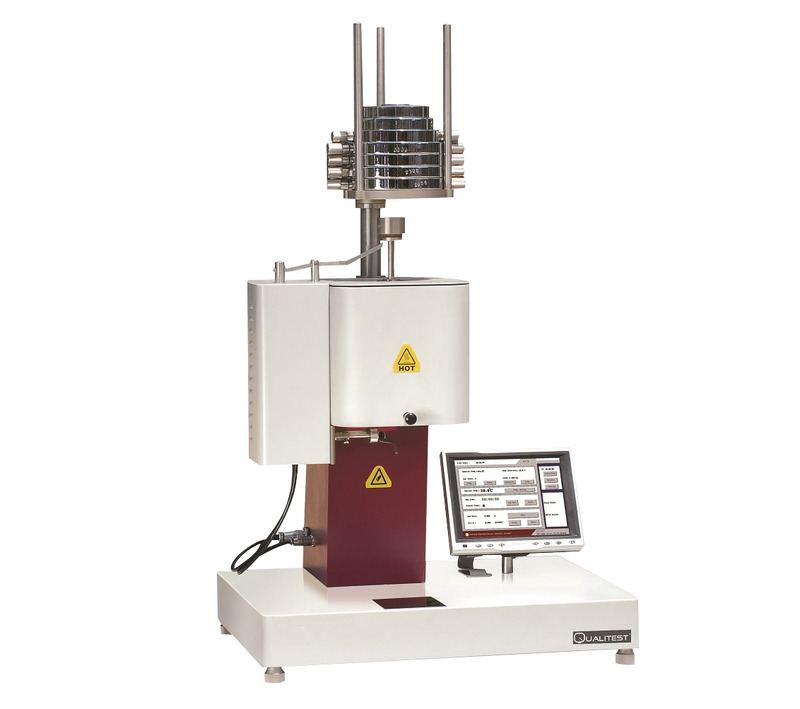 MFI-2000 Series Melt Flow Indexers are affordable bench top instruments that measure the melt mass-flow rate (MFR) and melt volume-flow rate (MVR) of a wide range of thermoplastic raw materials (granulate). The tester conforms to all International Melt Flow Resistance standards, including ISO1133, ASTM D1238. Any temperature within 100oC - 450oC can be accurately controlled.